On Sunday, we officially left our super-hot UK Summer behind and entered Autumn. Summer holidays are over and it is time to get back to the normal everyday routine. However, there is no need for low spirits; Autumn is a season of new beginnings and opportunities! Now’s a great time to do the things that will help you reach your life goals. Don’t let the opportunity pass you by. We know that it’s impossible to squeeze more hours into a day, but in Autumn we seem to have more time in the evenings. This is because less activities are competing for our time. There is less reason to race to the beach after work, or go out for drinks after work. Summer sports draw to a close and many Winter sports have not yet begun. So why not use this time to think about what you want out of life? A new career, skill or qualification? Autumn is the perfect time to embark on something you love. Challenge yourself to become more productive and change your life for the better! Just as nature follows a seasonal cycle, we too face constant change and cycles in our lives. Difficult seasons pass and make way for new opportunities. Think about your life goals and your priorities for the next few months. This will put you on a path to achieving what you want. Autumn provides a great time of focus. You’re not distracted by summer parties and holidays. You can commit to your chosen path and start walking it. Cooler, darker evenings lend themselves perfectly to study. All you need is your laptop and a cup of hot chocolate if you’re studying online. The beauty of starting your study in Autumn is that you could finish your course by Spring or Summer! Take advantage of cosy evenings at home. Spend some time learning something new, and springboard into the next season with a feeling of accomplishment. An article by the Harvard Business Review highlights that the lack of employee development efforts is one of the reasons behind employees leaving – “Workers reported that companies generally satisfy their needs for on-the-job development and that they value these opportunities, which include high-visibility positions and significant increases in responsibility. But they’re not getting much in the way of formal development, such as training, mentoring, and coaching—things they also value highly”. Investing in training is not only good for your employees but it also delivers real, lasting benefits to your business and to your bottom line as well. Companies are now placing increasing importance on obtaining qualifications or endorsement from leading professional awarding bodies as part of their training programmes. Such qualifications or endorsements mean that training programmes meet national standards and enable companies to determine how well-trained their staff are compared with other businesses in their sector or region. The start of Autumn is a great time to take stock of how much training budget you still have to spend before the end of your financial year. Research by the Department for Business, Energy and Industrial Strategy has found that that leadership and management skills are key to driving innovation and high performance working, and can help ensure that organisations adopt the right strategies to boost productivity and growth. They found that best-practice management development can result in a 23% increase in organisational performance, in terms of both high-performance working and business success, and the creation of more sophisticated and higher-quality product and market services. According to Forbes, a staggering 98% of managers feel they need more training. So, get ahead of your competition by investing that remaining budget in the leadership and management skills of your employees. Investing in them means investing in the engine that drives your business. GBS Corporate Training is a leading provider of Management and Leadership training, offering a variety of training courses in all related subject areas. We have a variety of different types of training to meet every requirement, every budget and every format of study. From putting together a flexi-day of different training topics to a comprehensive bespoke leadership and management programme, GBS can help you. Delivering accredited training helps to make your company more efficient, your workforce happier and more motivated, your recruitment costs lower, your business performance higher, and ultimately contributing to increased revenue and improved profits. Offering a recognised professional qualification option to your in house training programme greatly enhances its profile and status, not just at the employee level, but also for your organisation as a whole. When it comes to justifying the training budget, our experience shows that board level support for training is strengthened, when the programme you are embarking on carries a nationally recognised standard. We are very flexible in the programmes we create for you. We will tailor course content to cater for your specific business needs or to address skill shortages in your organisation. Through this approach, you can be sure your employees are gaining new knowledge and skills that will be relevant to your company. Our carefully selected and developed courses have been designed to support your managers and leaders develop the necessary skills to be able to cope with the many demands placed on them in business today. Additionally they will learn to develop a leader’s mind-set thus being able to inspire their teams to want to work with them not because they have to, but because they want to. We offer a wide range of courses, from Managing Diversity, to Personal Impact and Effectiveness to Project Management. Click here to see our full range of training courses. GBS is the sole UK provider of Situational Leadership® training and provides a series of courses related to different applications of the model. We help leaders to learn to appropriately balance their task direction with proper relationship behaviour, which helps to maintain high levels of consistent performance across team members. The Situational Leadership® Model is an easy approach to learn and can quickly have a measurable positive impact on an organisation’s processes and productivity. Tried and tested by thousands of organisations worldwide, Situational Leadership® therefore continues to be one of the best leadership approaches to adopt and remains relevant in the business environment today. Our Situational Leadership® - Accreditation is designed to equip trainers with the necessary skills and knowledge to deliver licensed Situational Leadership® within their own organisation. Coaching is an essential leadership skill, and an effective way to enable teams to deliver extraordinary business results. Whatever a person’s role in an organisation, coaching will help to develop their potential and work performance, and is seen as a key ingredient in improving employee engagement. It can also be a good way to reinforce learning and help employees to apply theoretical knowledge-based learning acquired from formal training. Whether you are looking to train to become a professional coach or gain a qualification in coaching, or you simply want to learn the basic principles of managerial coaching, then GBS can help you. GBS will work with you to put together a training programme tailored to your needs. Visit our website to find out more about our coaching training. Our ‘Flexi-Day’ sessions are focused on a broad range of Leadership and Management training topics, delivered to you in a range of suitable workshops by one of our experienced facilitators. This approach allows you to develop your desired skills in the limited time that is available to you, putting you in the driver’s seat so that you have the flexibility and choice over your own personal development. Organisations can build a day of learning with multiple 90 minute learning modules, designed to make every second count. We can deliver up to three workshops in a day so a variety of topics can be covered in a short space of time. You can pick and mix from a broad range of areas such as effective delegation, effective negotiation, communicating and rapport, and presenting with confidence and delegates may choose to attend one, two or all the sessions during the day. Living up to its name – the training is 100% flexible! By providing high energy training in short bursts, information is more easily digested than lengthy training that keeps people ‘captive’ for long periods of time. Brighten your future with online distance learning courses at Brighton School of Business and Management, a wholly owned subsidiary of GBS Corporate Training. BSBM has built a reputation for delivering high quality distance-learning Leadership and Management courses, with high quality support and guidance, which results in high pass rates, as well as contributing to successful career progression for students. We offer a wide variety of professional online distance learning programmes, covering topics such as Marketing, Project Management and Human Resources. By studying one of our courses you can gain an Undergraduate and a Postgraduate qualification in the areas of Business and Management. Investing in training your workforce can have multiple benefits for your company. It can build on existing skills that your company already values, it can have a positive effect on staff performance and loyalty, and it can be less expensive than hiring new staff. 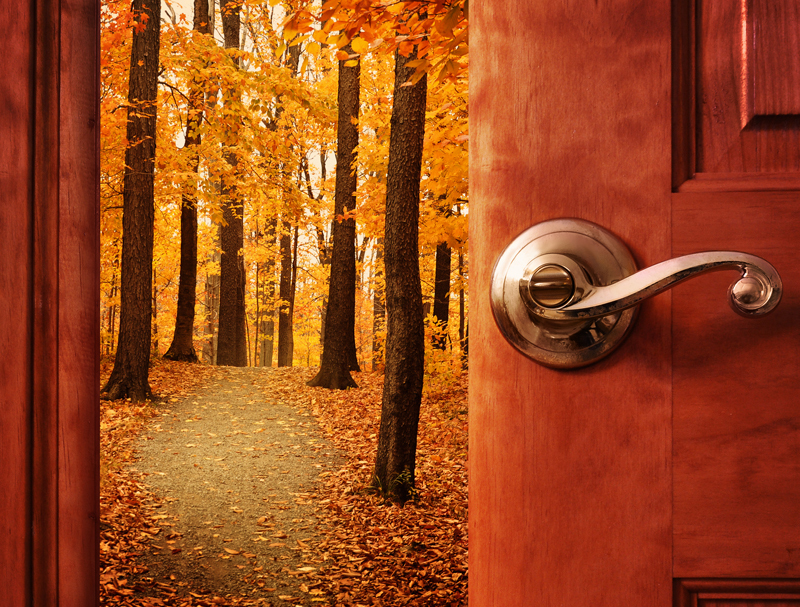 So if you want to make the most out of your valuable time in the Autumn contact GBS today to talk to us about your training and development requirements.